Me in 1996, wearing a crown of daisies at a Jāņi celebration. For me, it all started with an episode of the 1990s television program Travel Travel. My mom loved watching Travel Travel (we only had two channels so there wasn’t much choice) and when I was eight years old the program aired an episode on Latvia. It was pretty exciting for me because I knew that my grandparents were from Latvia and that my uncle had recently moved there after the collapse of the Soviet Union and the restoration of Latvian independence in 1991. Though I could never speak Latvian, it is my mother’s first language and Latvian phrases and folk songs had always been a part of my life. The country looked great on TV too, with a picture-book castle poking out behind a green forest (it was probably Sigulda Castle featured in the show). Watching the Latvia episode of Travel Travel is the first memory I have of my parents saying, “Wouldn’t it be nice to live there for a year?”. It seems weird to think of now, almost like a magic trick, the way the pieces fell together to facilitate this adventure. In reality, it wasn’t at all easy and I know my parents had to do a lot of research and phoning and faxing and writing letters in order to obtain jobs and visas and housing and the rest of it. But I’m still mystified by the way it just sort of worked. My parents applied for teaching positions at the English-speaking International School of Latvia and were hired (my mom,who taught elementary music, was even given a budget to order instruments for the school). My sisters and I were able to attend the school free of charge. My mom applied for a year-long leave from her current teaching position and got it. We needed someone to rent our place and take care of our pets for the year and a decent renter was found. Now, the idea of looking at a map and saying, “I want to move my family here” and actually DOING IT is astounding to me. 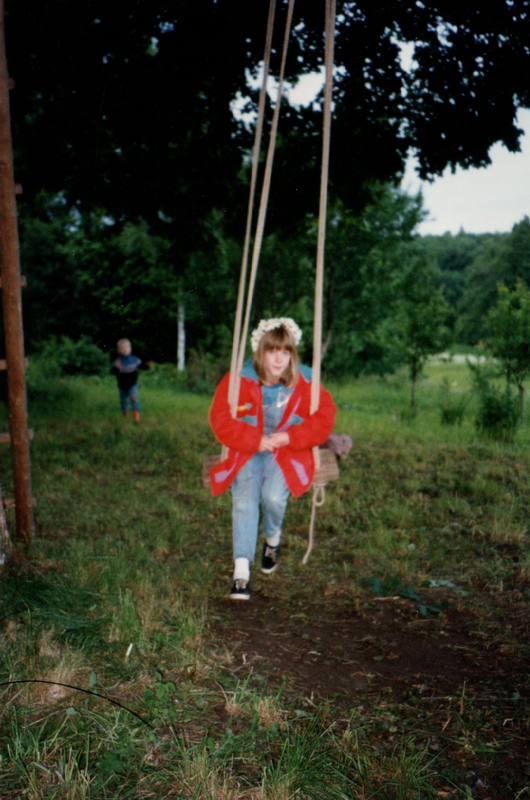 So my family spent my 4th-grade year living in Latvia. And it was one of the most wonderful and important experiences of my life. Not only were we living in another country, our school that year was housed in an old seaside mansion in Jurmala and everywhere we went we saw castles and palaces, ancient springs in the country and colourful buildings in Old Riga, huddled over cobblestone streets and dripping with art-nouveau detailing. 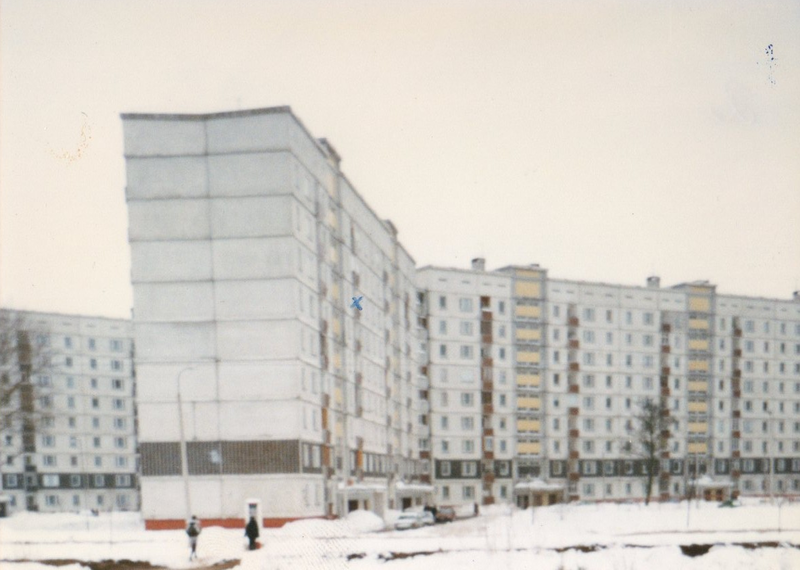 Though newer, Soviet-style architecture (like the gargantuan concrete apartment complex we lived in) was both ubiquitous and ugly, my imagination was always busy erasing those details, taking me into the past and furnishing splendid palaces in my mind. My Latvian-ness, which had seemed a somewhat intangible thing growing up in rural Saskatchewan (where you will find many folks of Ukrainian descent but not many people who had even heard of Latvia), became real to me when I was able to visit the farm where my grandmother was born and where my great-aunt now lives (as a young woman, she’d become separated from her family as they fled to England and was sent by the Soviets to a work camp in Siberia, where she met her Ukrainian husband and started a family) and to which my great-grandmother had returned to spend the last years of her life (I was lucky enough to meet her that year, even though I wasn’t able to do more than say hello and sing a couple of folk songs in Latvian). I started to understand that leaving a place is one thing, but being forced to leave is quite another–it leaves an ache that never goes away, even if you eventually make a new life for yourself somewhere else (as per his wishes, a Latvian flag stood beside my grandfather’s coffin at his funeral last summer, and he had been adamant, the week before his death, that we attend the Jāņi celebrations at the Latvian centre in Toronto, even though he couldn’t go himself). Zolitude, where my family lived (the little blue X was our balcony). Awesome! I think you may find everything has changed completely but somehow stayed exactly the same, too.